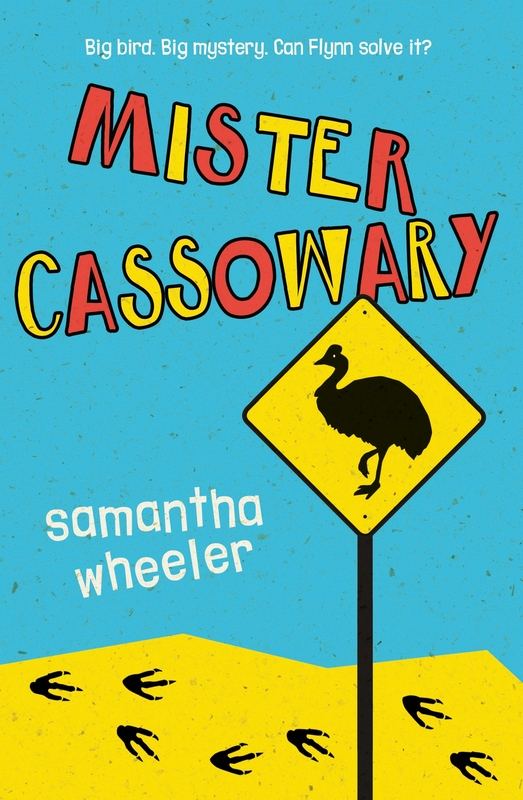 Comments: I met Sam Wheeler at CYA a few years ago, and Mister Cassowary is her third novel with UQ Press. As a self confessed bird-nerd, I couldn’t really pass up the opportunity to review a novel about cassowaries! City boy Flynn is taken to Mission Beach by his dad to ready his Grandad Barney’s banana farm for sale. Flynn has never been north before, even when his grandad was alive, and the last thing he wants to do is to be stuck in the middle of woop-woop with his dad who thinks he is too young to be trusted with anything! But when Flynn meets local girl Abby and two lost baby cassowaries things become interesting. What does Abby know about Grandad’s mysterious death? And why does Dad refuse to talk about it and seem so scared of the cassowaries? Did this dinosaur-like bird kill Grandad? Time is running out and Flynn and Abby need a plan. Can Flynn solve the mystery before it is too late for the cassowaries? Seven pages at the end of the novel are dedicated to cassowary facts, information about the current status of cassowaries in the wild, what child readers can do to help, and a range of related websites. I love the way Samantha Wheeler incorporates themes of conservation into her novels without being overly didactic. An interesting classroom activity for older primary students might be a comparison of Wheeler’s three novels. Smooch and Rose is about koalas, while Spud and Charli is about horses, bats and the Hendra virus. Both titles could be compared with Mister Cassowary. This activity would meet Australian Curriculum English outcome ACELT1616 for Y6 students. (ACELT 1616: Identify, describe, and discuss similarities and differences between texts, including those by the same author or illustrator, and evaluate characteristics that define an author’s individual style. Recommended reading for students in Years 3-6, depending on reading ability. Teacher Tip: Download the Teacher’s Notes provided by UQ Press here. The study notes include a useful, page-referenced list of examples of figurative language found in the text. A handy shortcut for busy teachers! *I received a review copy of Mister Cassowary courtesy of UQ Press. No payment was received for review and all comments are based on my own professional opinion.